The American desert southwest is littered with ghost towns, former mining towns that thrived for a brief while until their source of economic vitality was fully mined out. 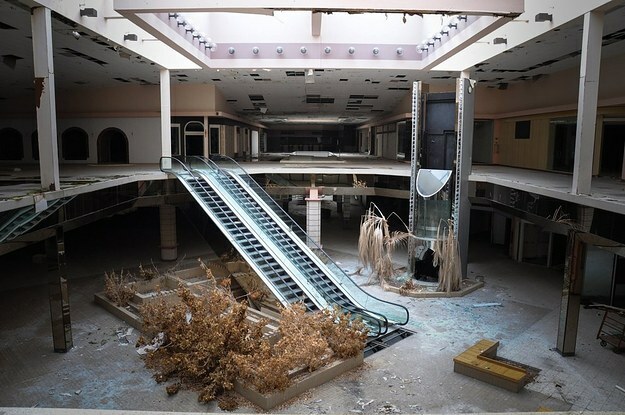 Their modern-day counterparts, abandoned malls, are proliferating through America; are these stark urban ruins the canaries in the coal mine, the object examples of the widespread brick-and-mortar economic reality to come? High leverage has proved problematic for the retail industry due to the industry's inherent cyclicality and operating income challenges post-recession. Such pressures have been vastly aggravated the past 10 years with the rapid rise of online competition, which has severely squeezed profit margins across the board. The debt loads assumed by many smaller retailers have created an untenable competitive reality: they are financially ill-equipped to deal with the changing retail landscape. They also lack sufficient resources to build out online capability, keep stores fresh, and fend off pricing threats from larger competitors. Moody’s expects upcoming maturities for distressed issuers will spike in 2019. Defaults are growing as many struggle with high leverage and challenged operating performance. These challenges are compounded by the biggest risk - mounting maturities - which spike in 2019. Overall, issuers in the Caa1 and lower group face $14.9 billion in public and private maturities due 2018 through 2020.